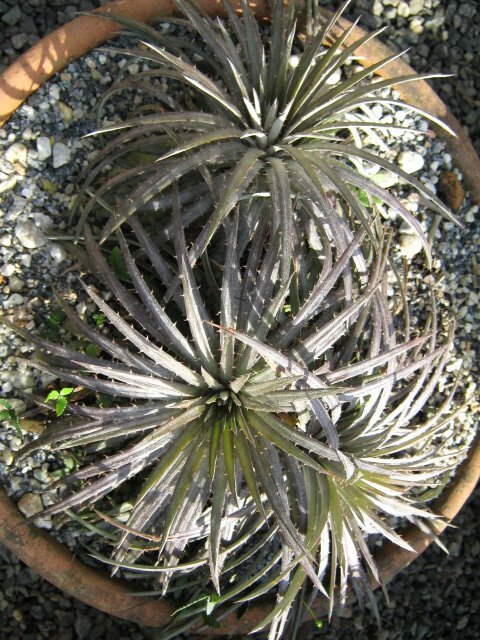 All the leaf points point to the very same one direction. 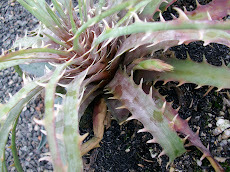 This here is not a behavior but a well stablished characteristic on this species. 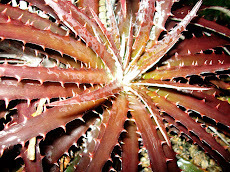 We believe this is to protect the tender growing point from the schorching Sun exposition. 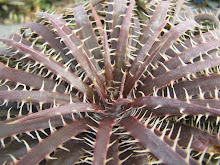 When one say to know all on Dyckias I laugh a lot. We all know a tiny bit! 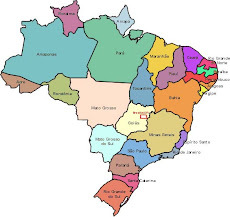 We barely begin to know them!!!!! This one resembles a Deuterocohnia but it is Dyckia and bears yellow flowers. 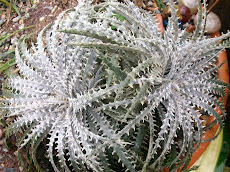 As one can notice here they have a tendency to a slightly secundifolia habit. 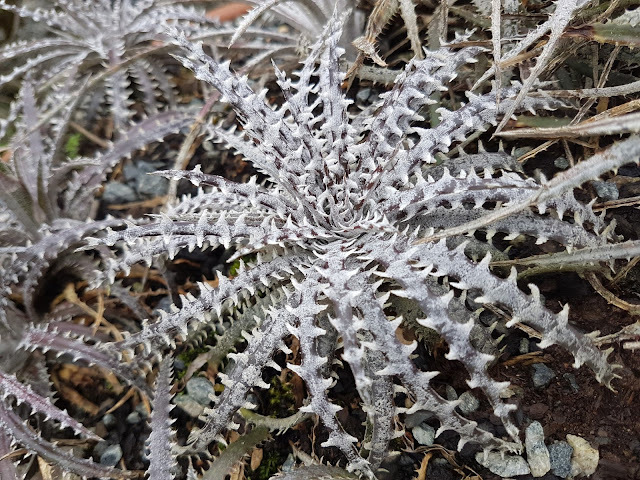 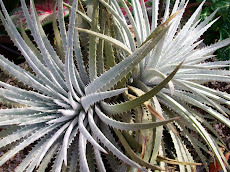 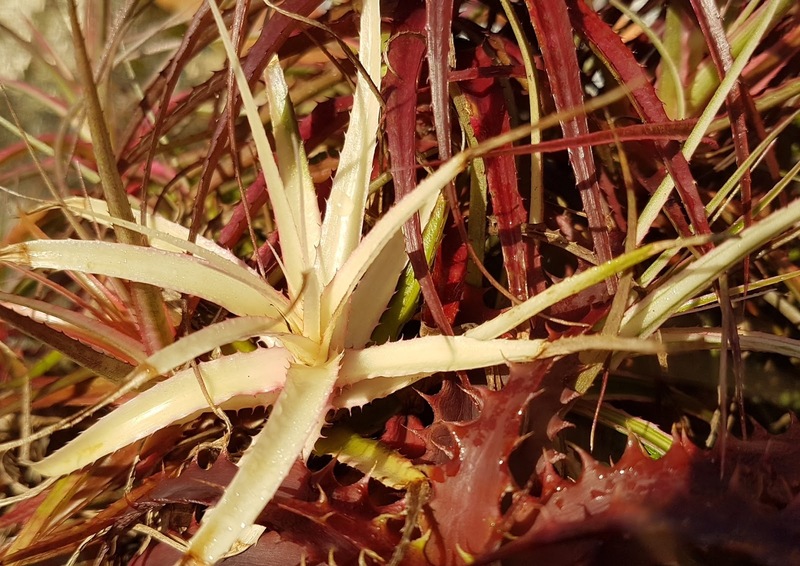 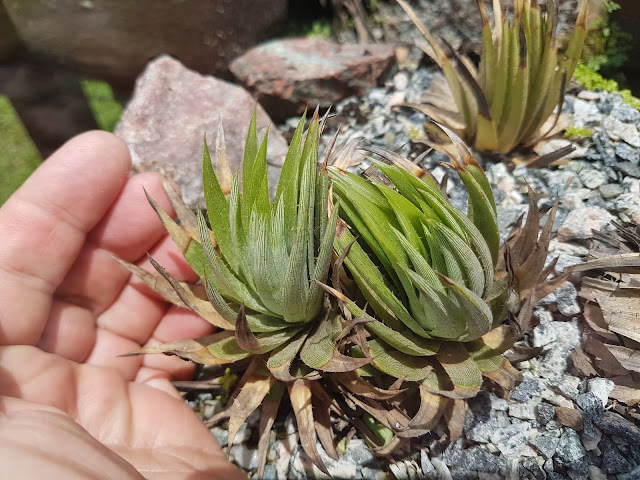 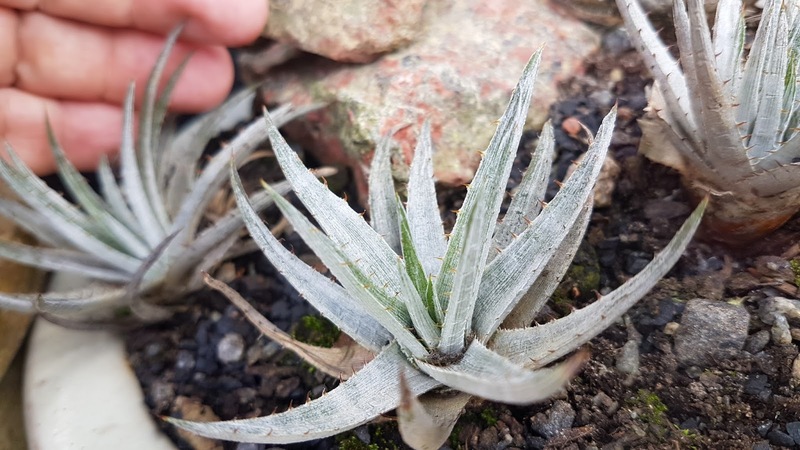 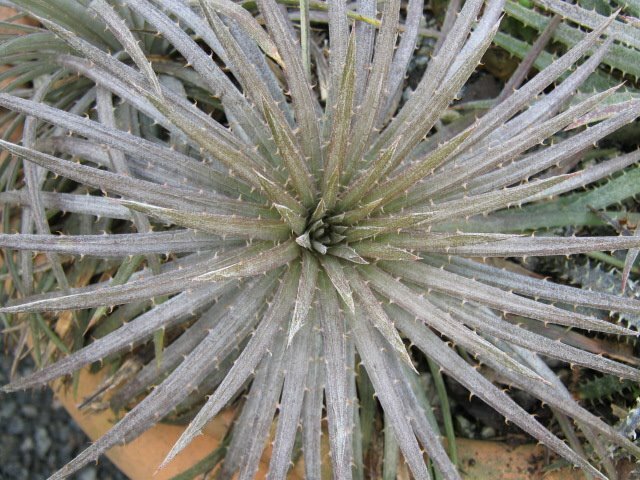 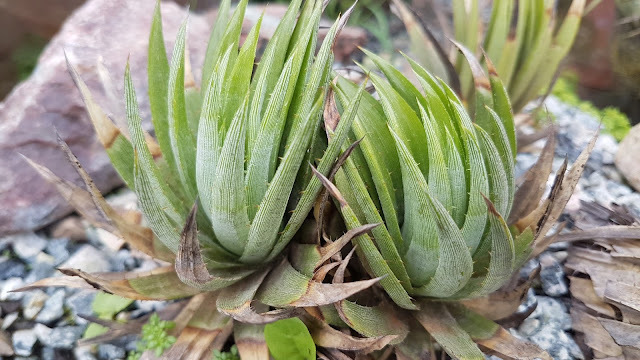 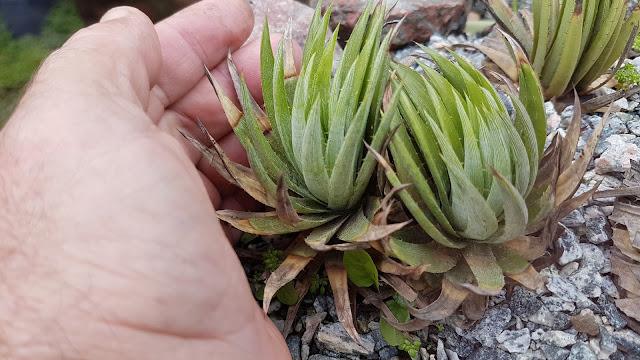 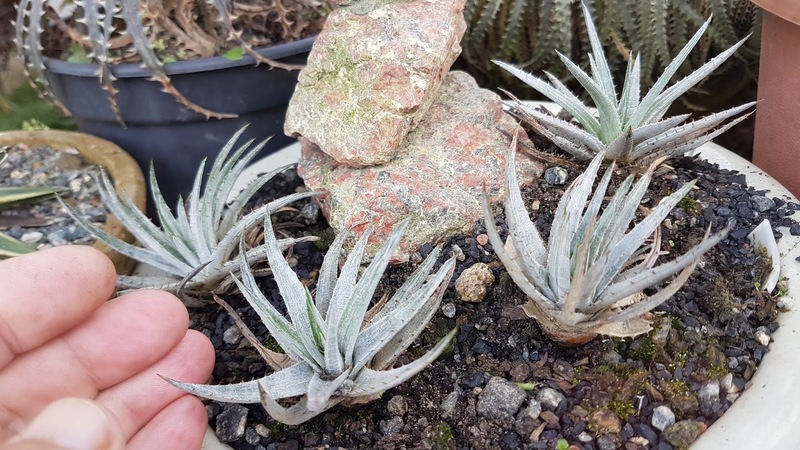 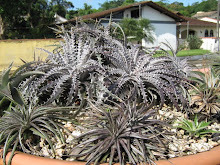 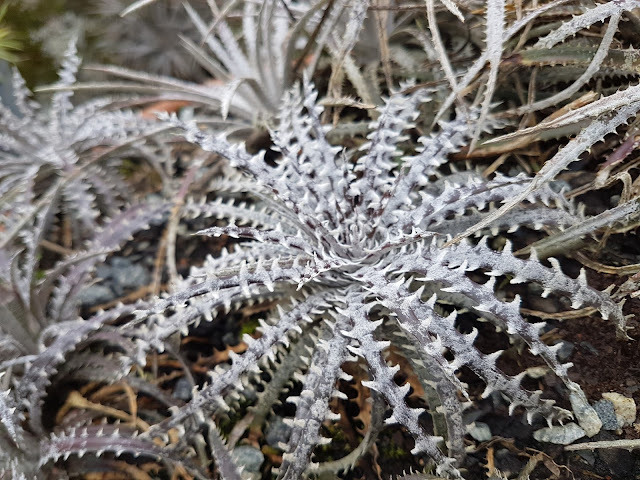 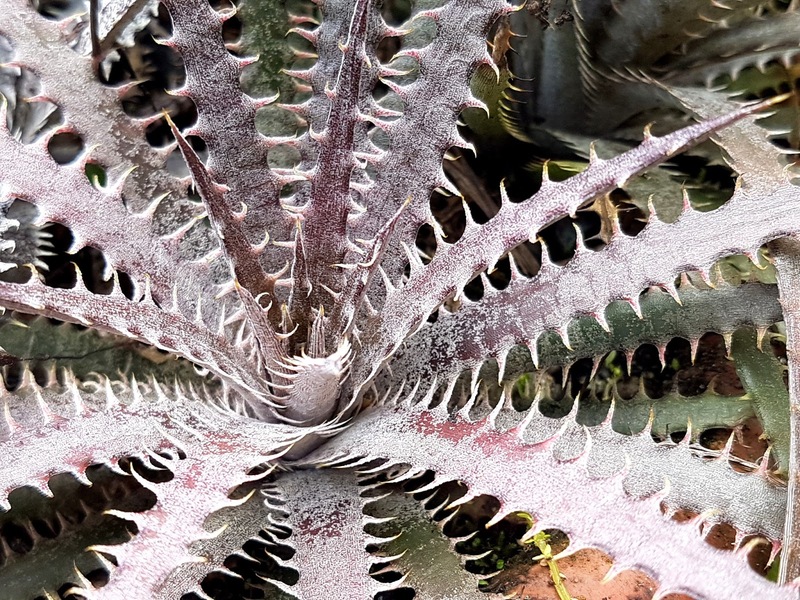 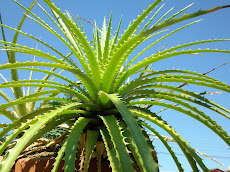 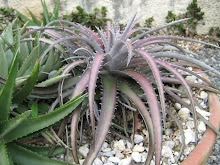 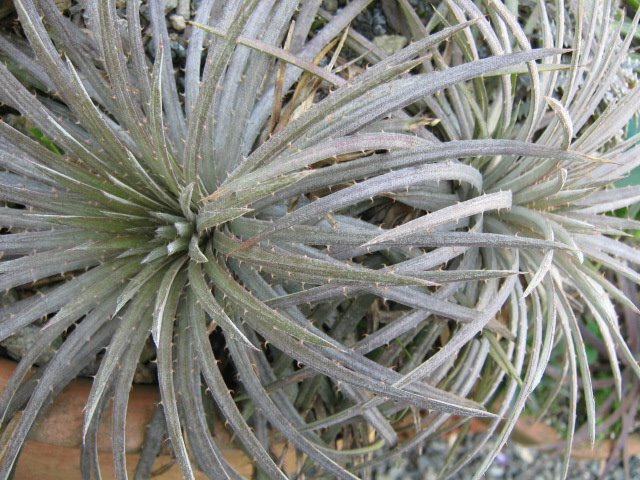 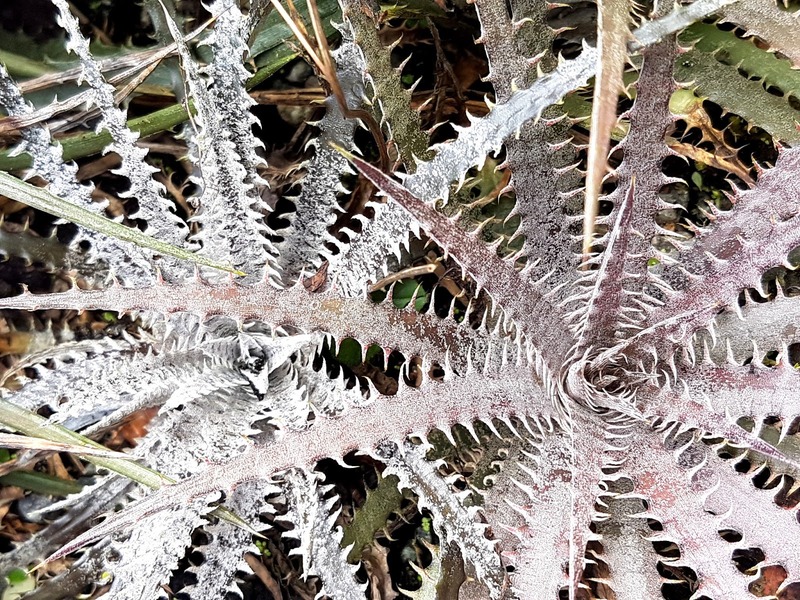 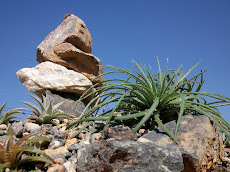 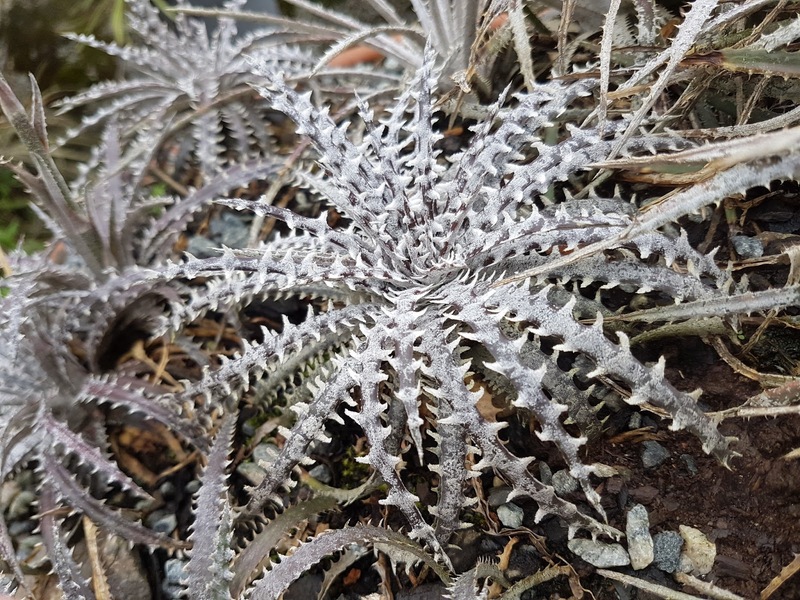 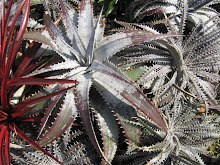 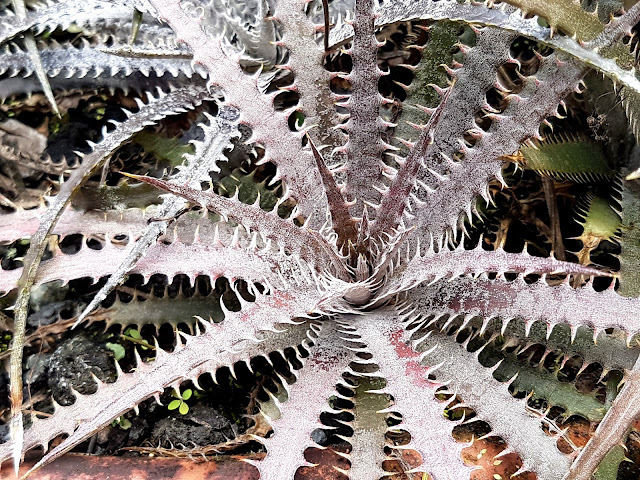 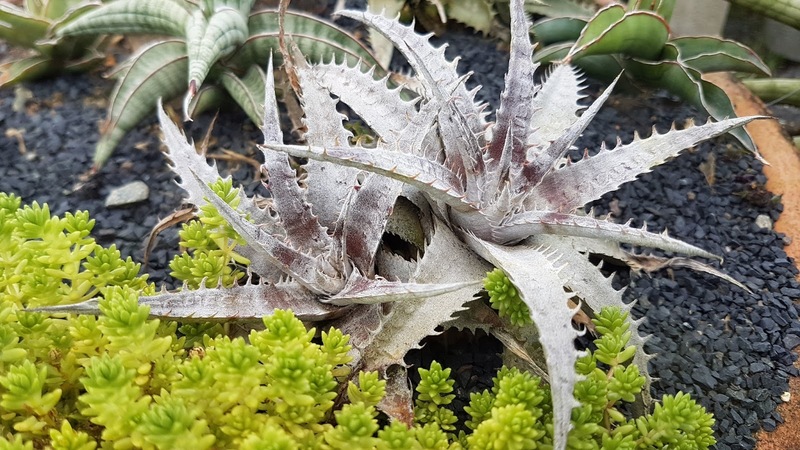 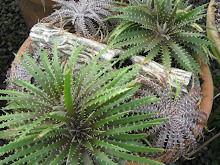 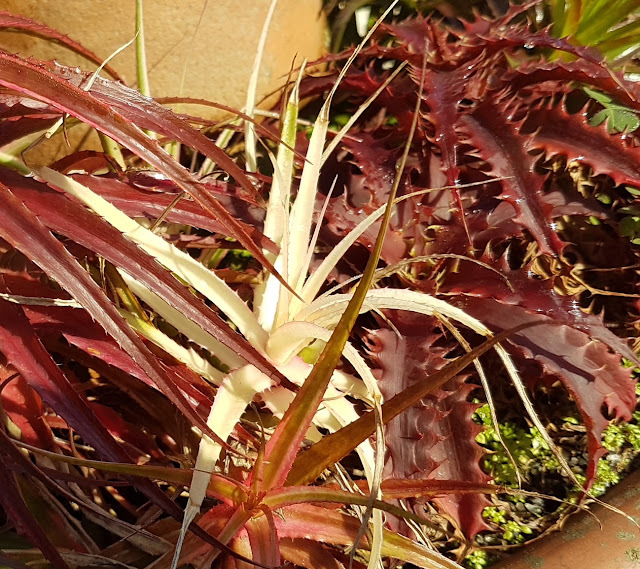 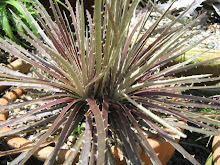 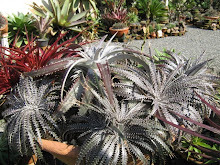 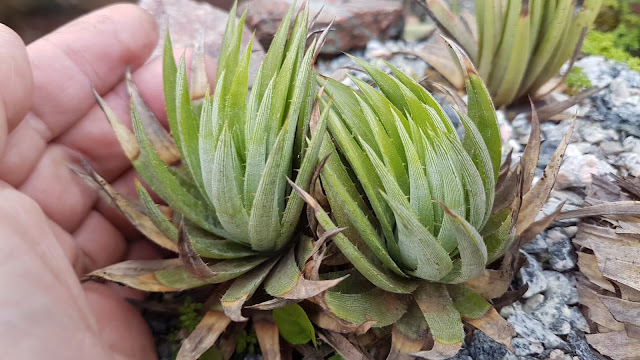 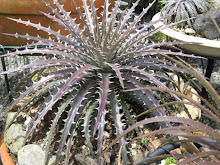 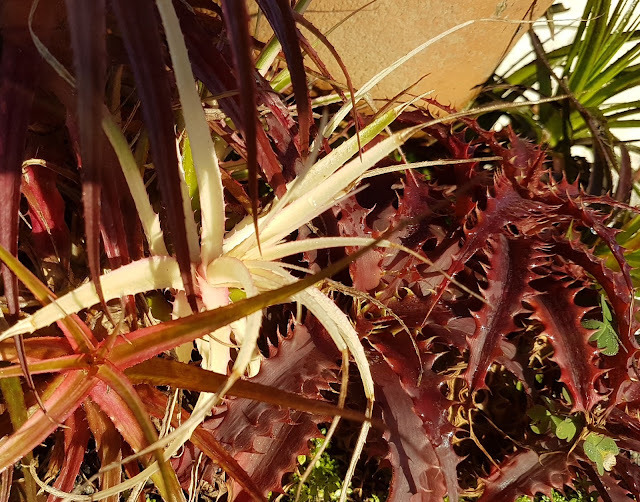 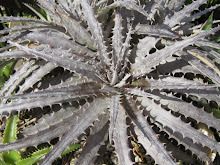 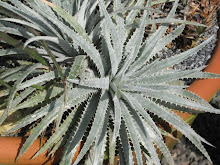 These are not Dyckia secundifolia, secundifolia lives a thousand km west from them in the State of Mato Grosso. 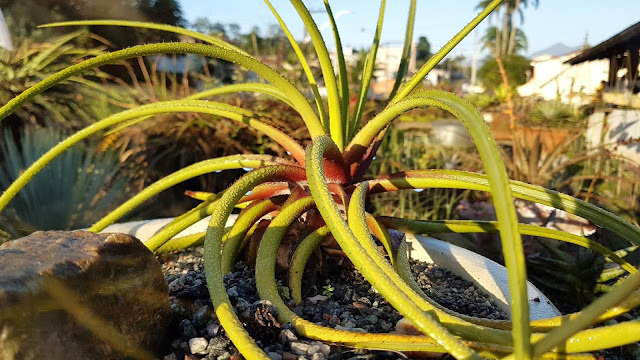 These pictures were taken early in the morning and the dew covers the plant. This is a happy plant. 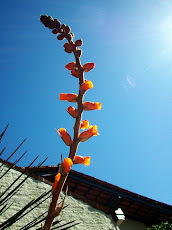 It is not suffering at all. 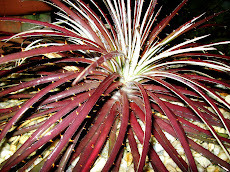 It likes humidity for it comes from our Amazonian area in the State of Pará. 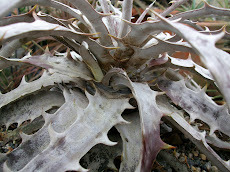 Note all the weirdness of its leaves, they twist and twist and make funnels and tunnels. 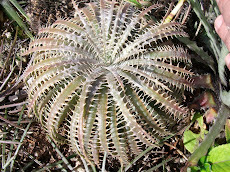 Here all the leaf points are set to the very same unic point. 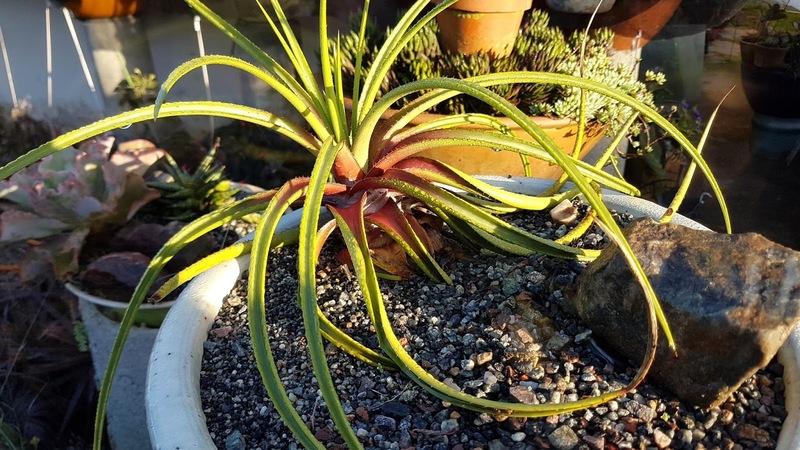 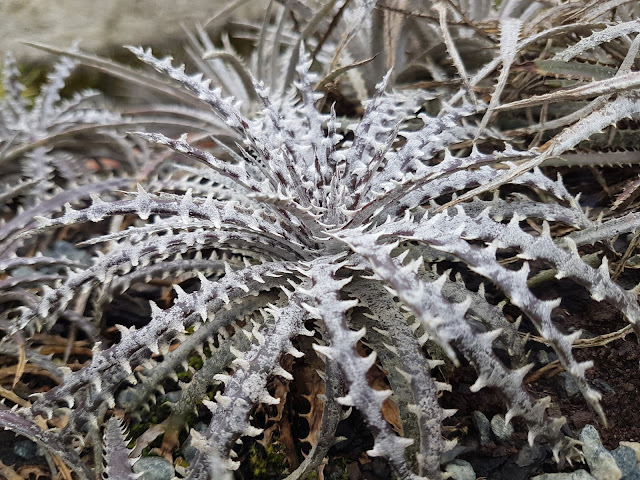 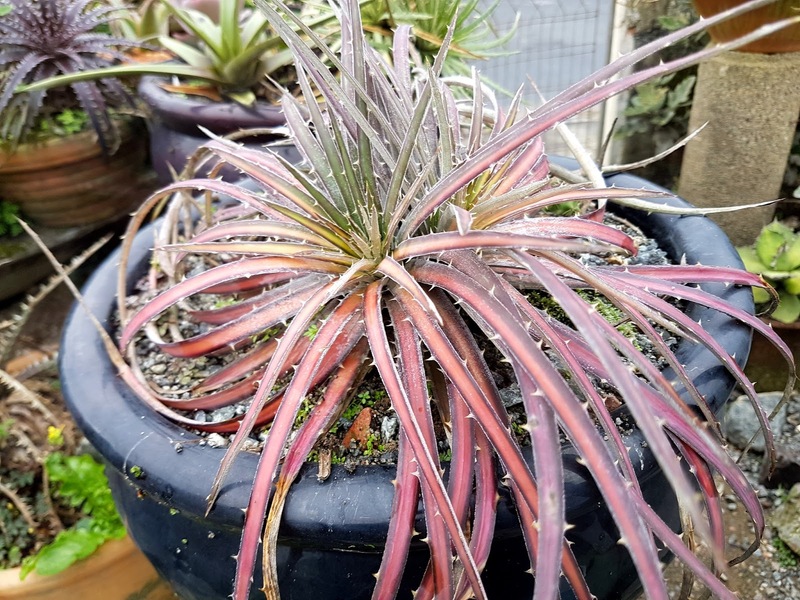 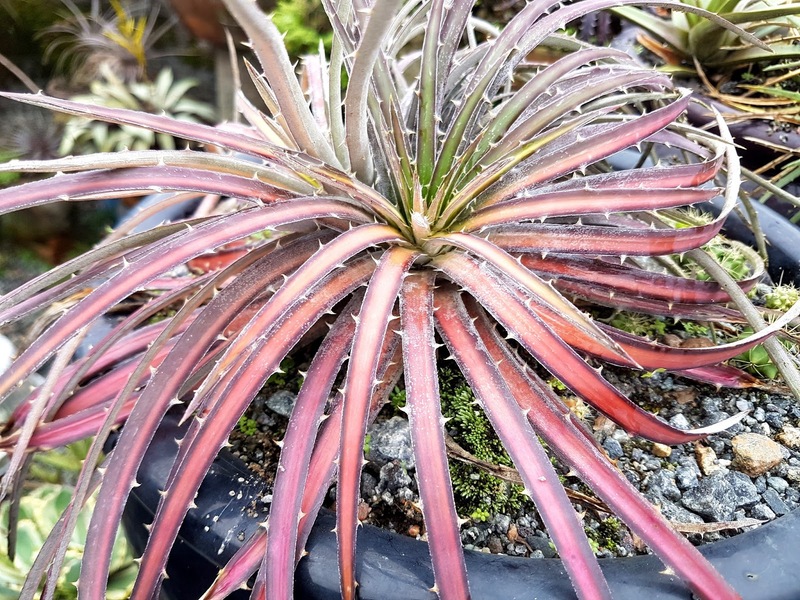 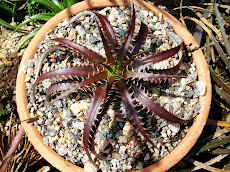 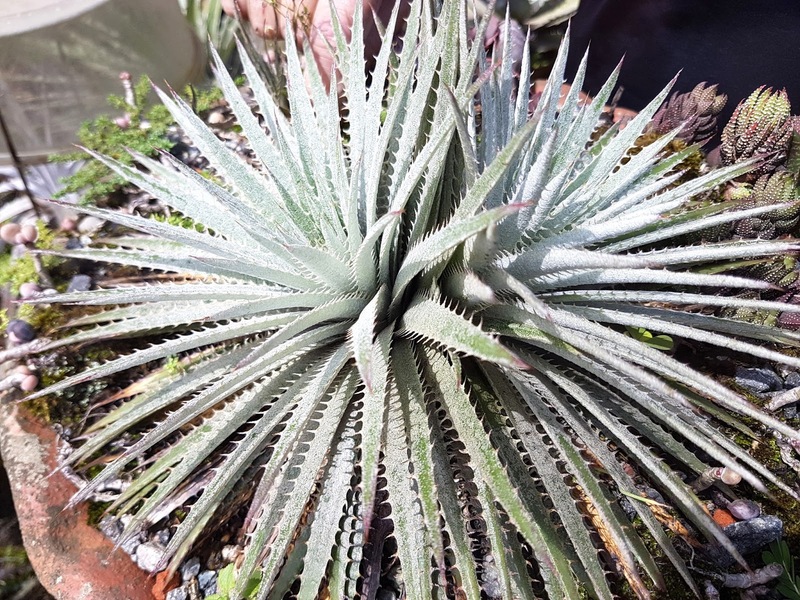 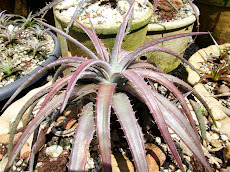 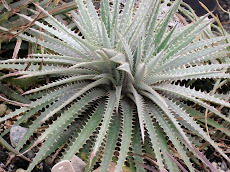 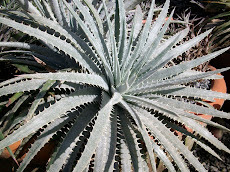 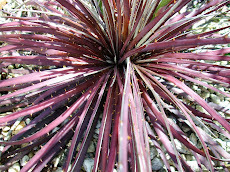 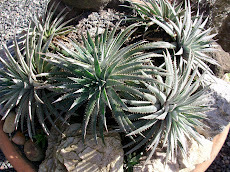 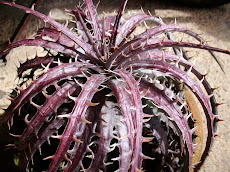 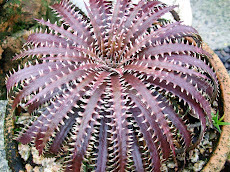 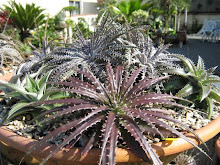 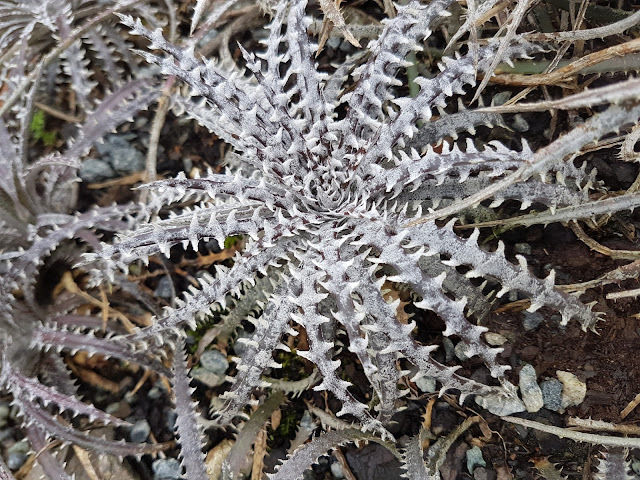 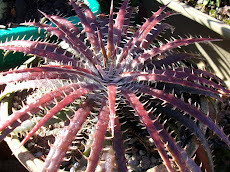 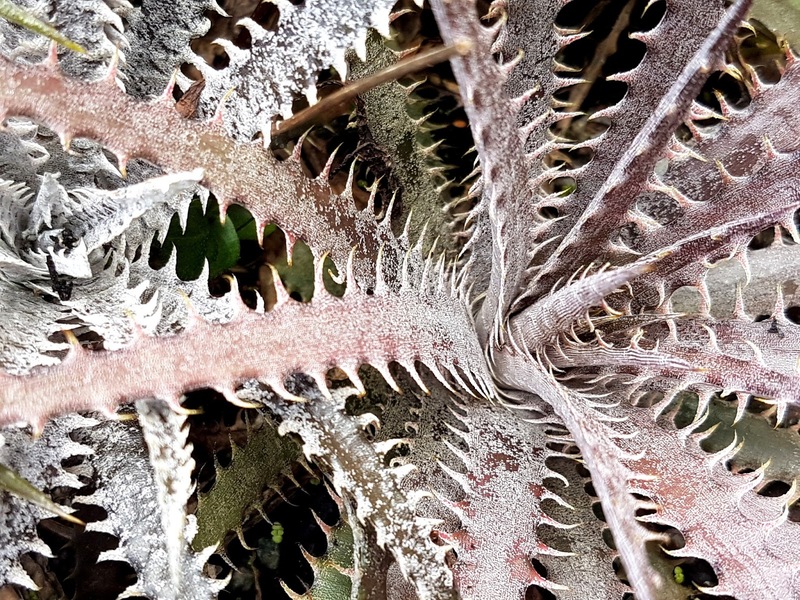 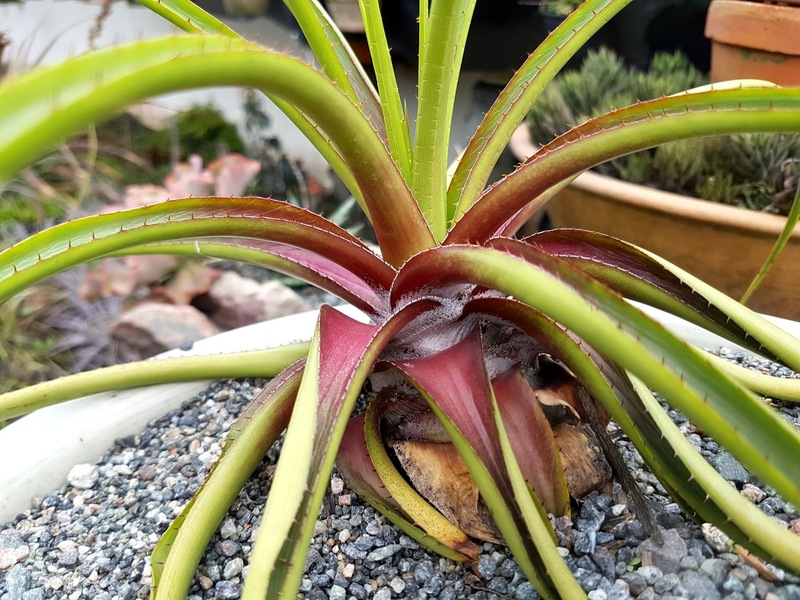 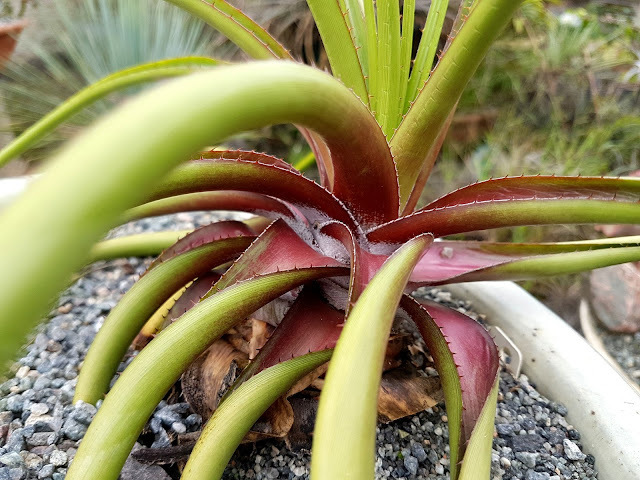 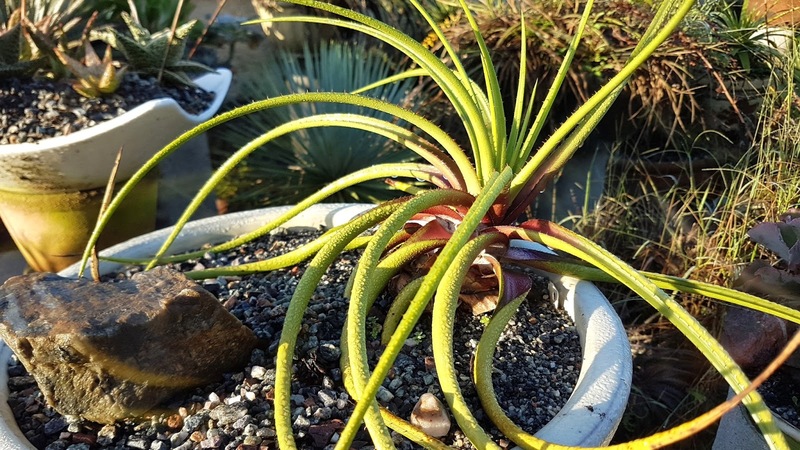 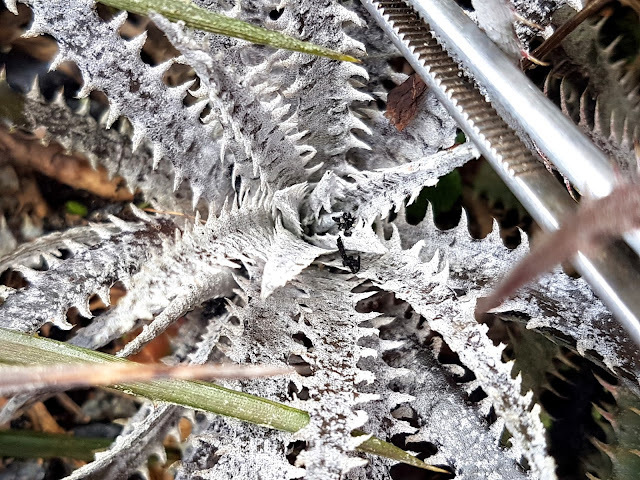 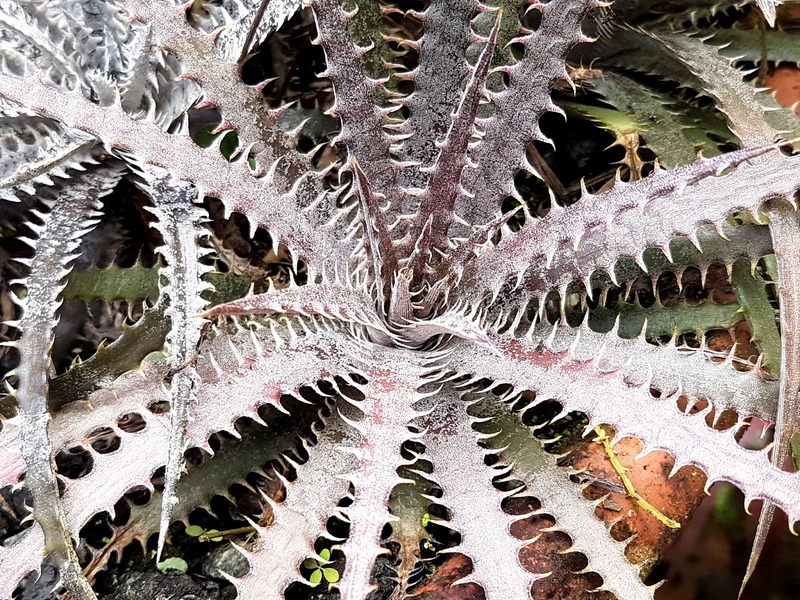 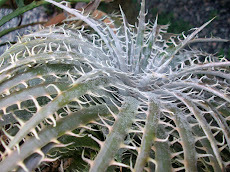 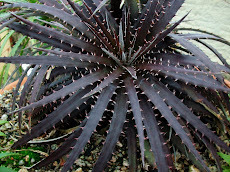 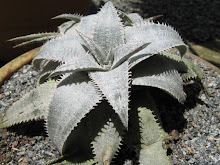 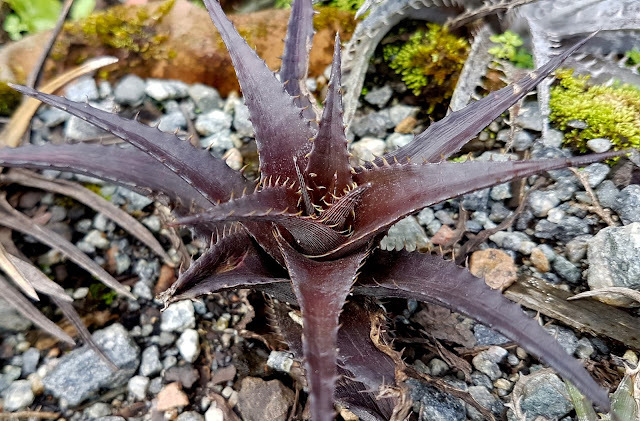 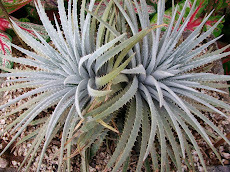 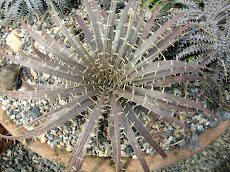 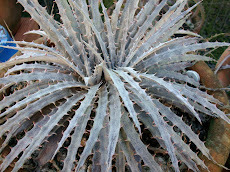 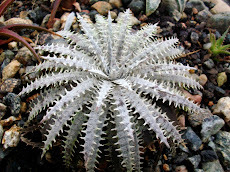 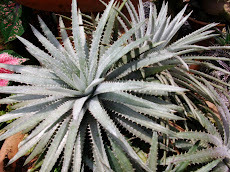 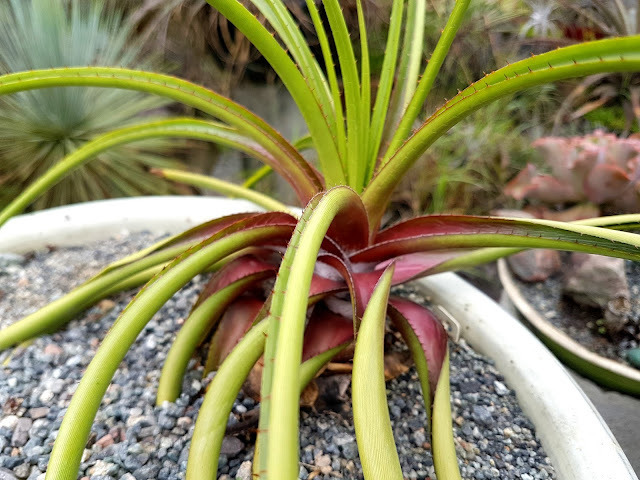 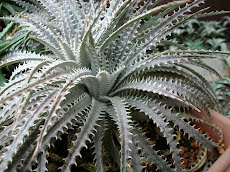 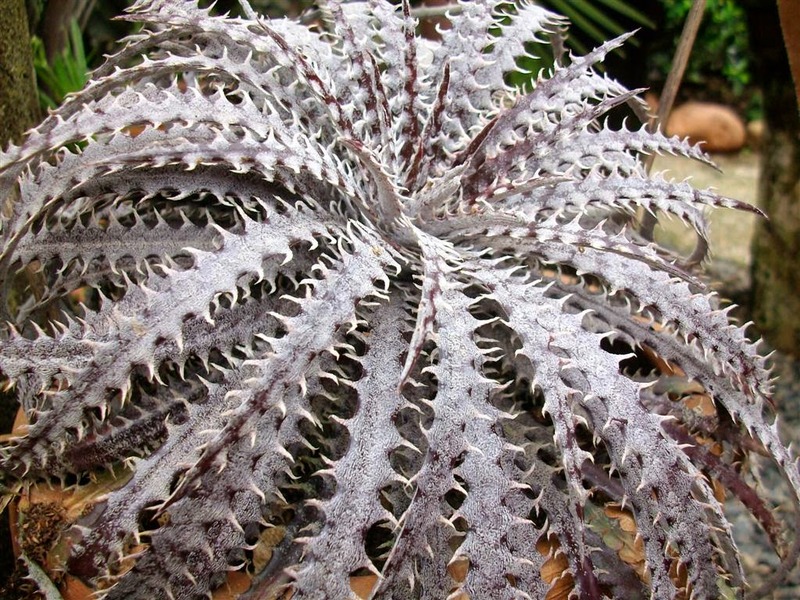 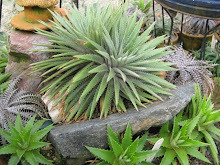 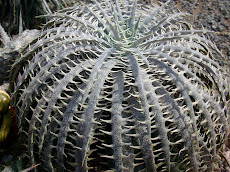 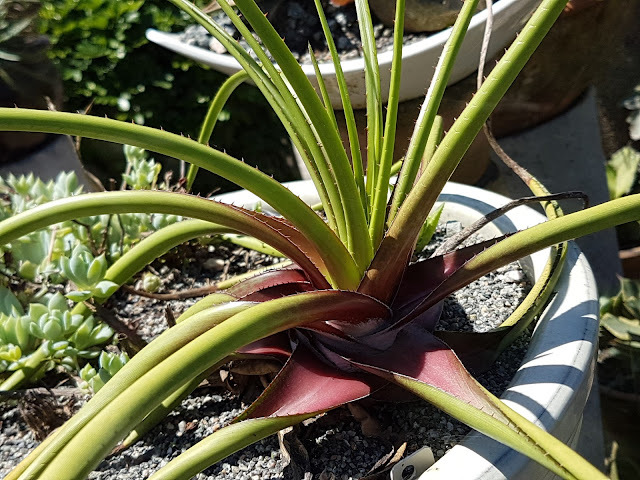 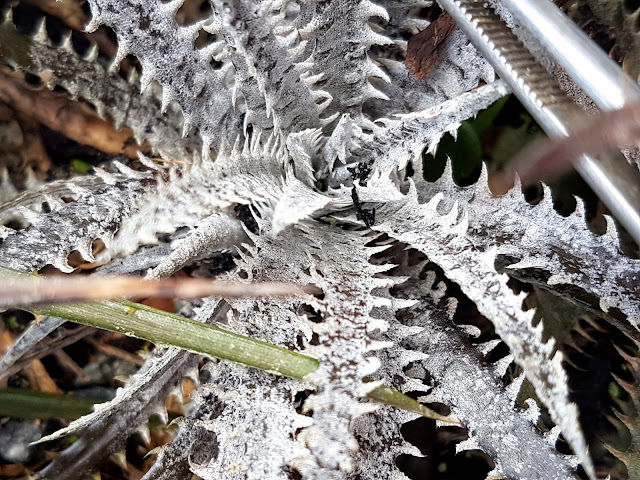 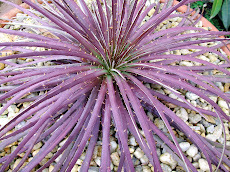 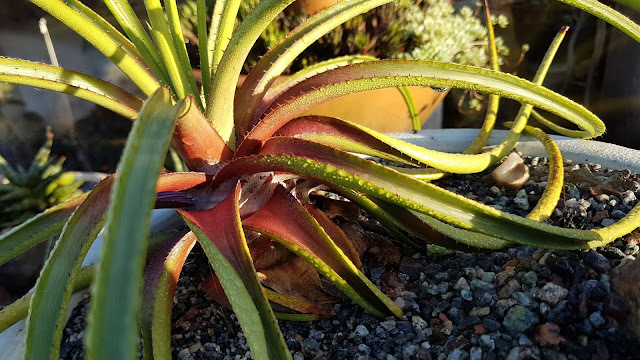 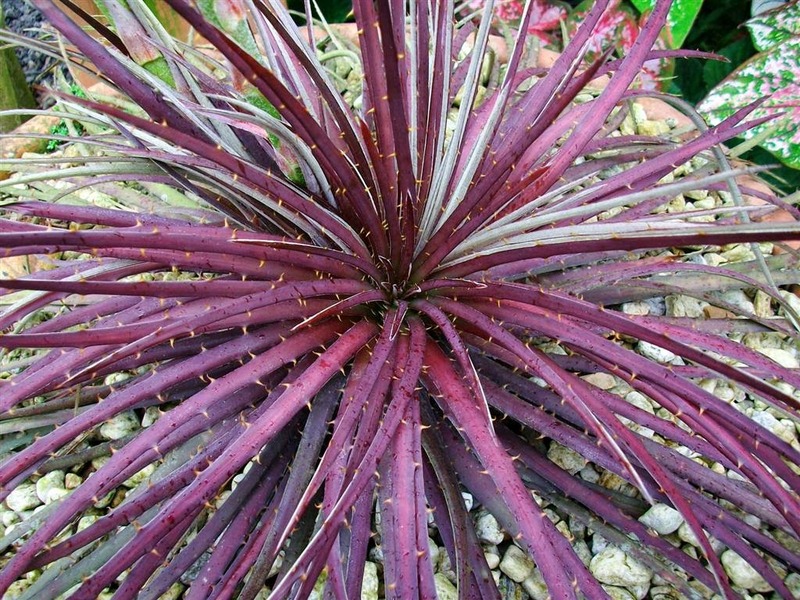 This is in fact a behavior and it can be found in another Dyckia species as Dyckia hebdingii but it is extremely rare. 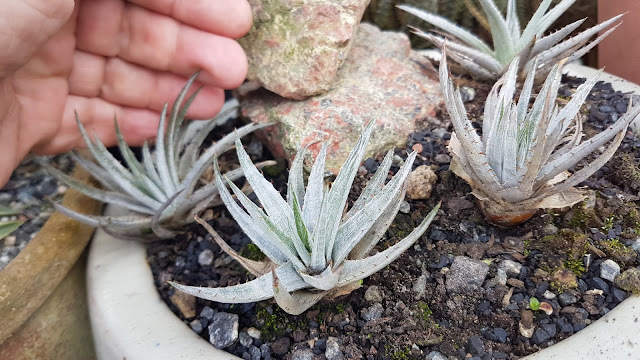 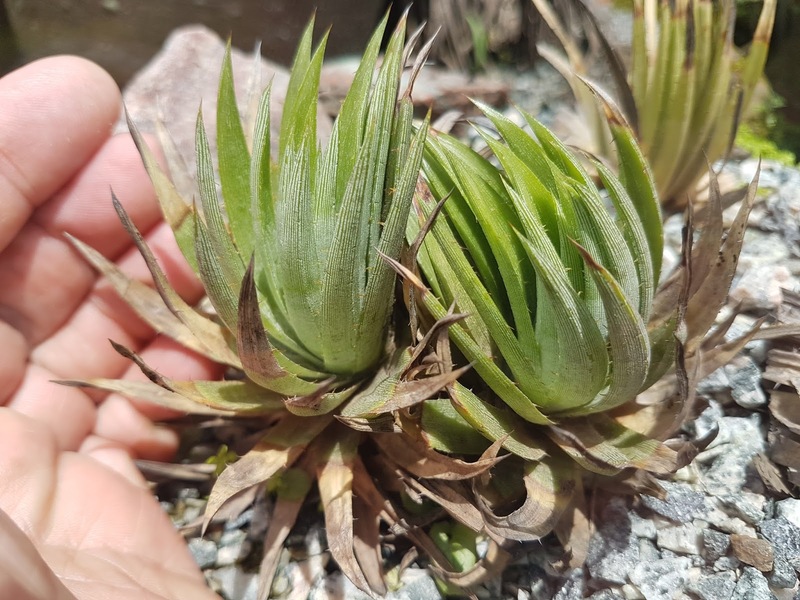 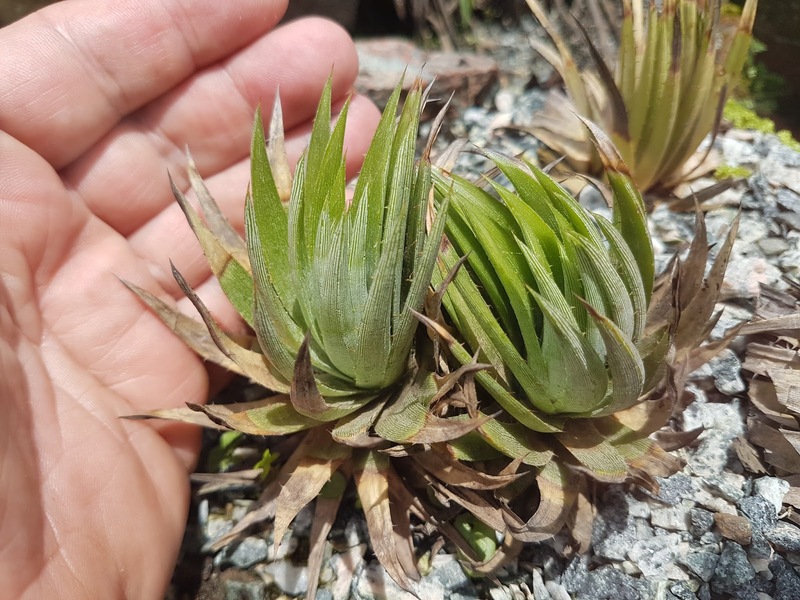 These are young plants and there is much to be shown and expected. 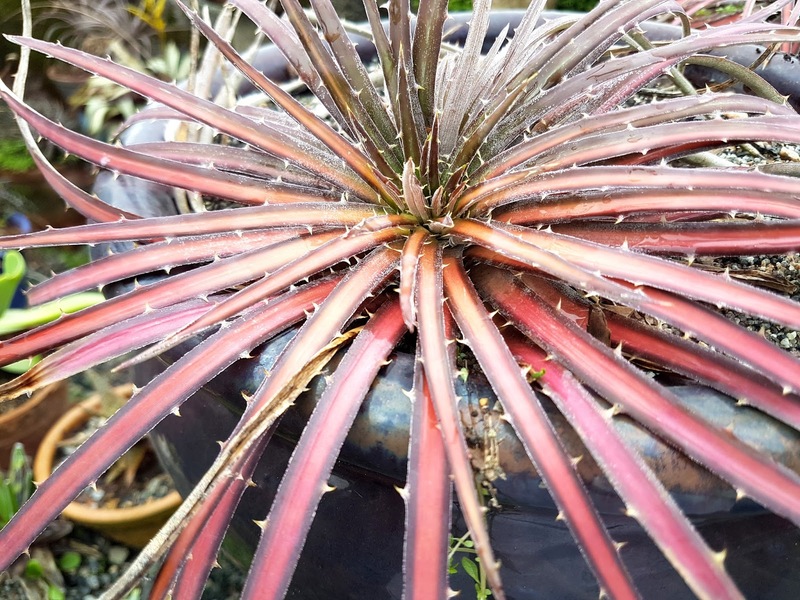 This plant you see is happy and super well fed and watered. 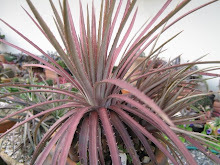 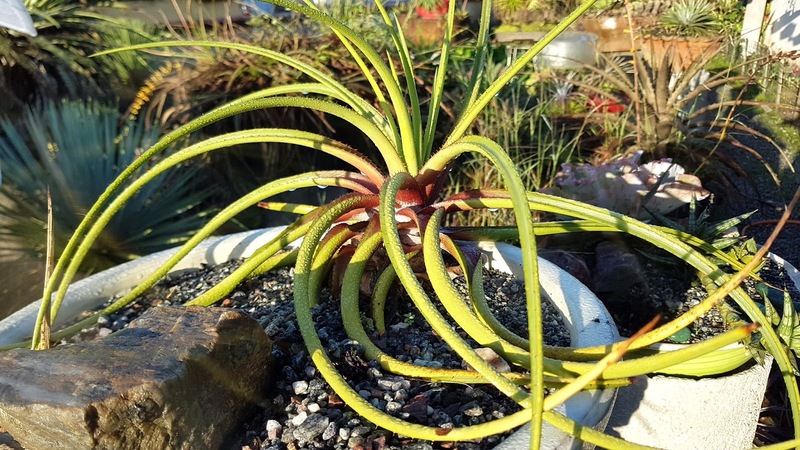 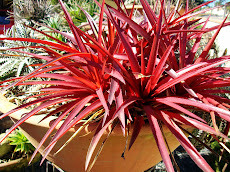 Its leaves are unique, They taper and twist and they are multicolored. 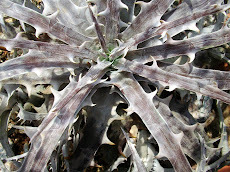 |It looks like a Picasso painting.